The following post is parental guidance: Parents, don’t look. I used to work at a Dairy Queen. It was my first job, when I was 13, and I have no idea how many people I killed by food poisoning. I used to spoon lukewarm grease on top of burned hamburgers to make them ‘juicy’. Nobody, of course, had given me any idea about food preparation or handling, and I can’t, even now, barbecue safely—I certainly couldn’t then. Apparently, mine was not the only Dairy Queen with human resource problems. The DQ on Weston Rd near the Superstore received a yellow card from health inspectors on April 14 in part because nobody working there had been trained how to cook safely. The place also had no hot running water, no thermometer to measure food temperature, unclean equipment, and unclean restrooms and food preparation areas. 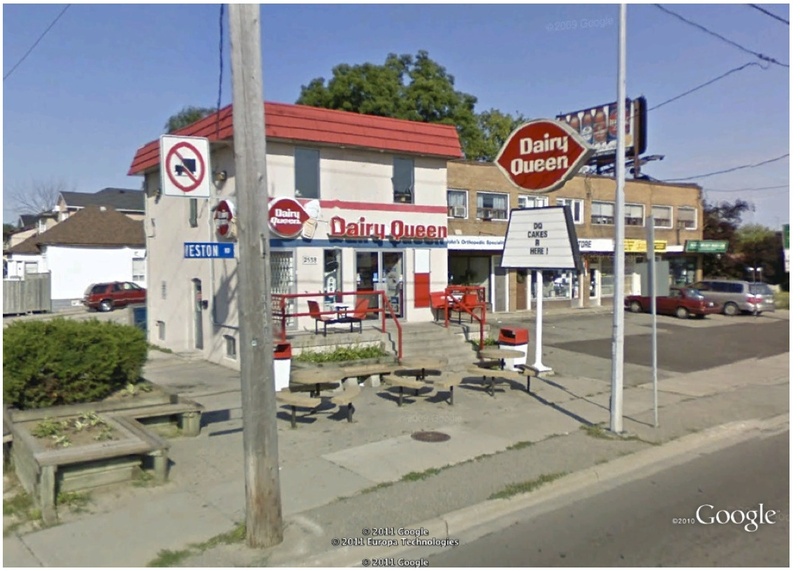 In all previous inspections, that Dairy Queen had been given a thumbs-up from inspectors.